Here at Ragged Life, we’re on a mission to bring the joys of rag rugging to crafters all over the U.K. We started off running workshops in London and Hertfordshire, but our real aim is to run workshops far and wide, so that everyone can get involved and enjoy a great day out learning this craft that we’re so passionate about. 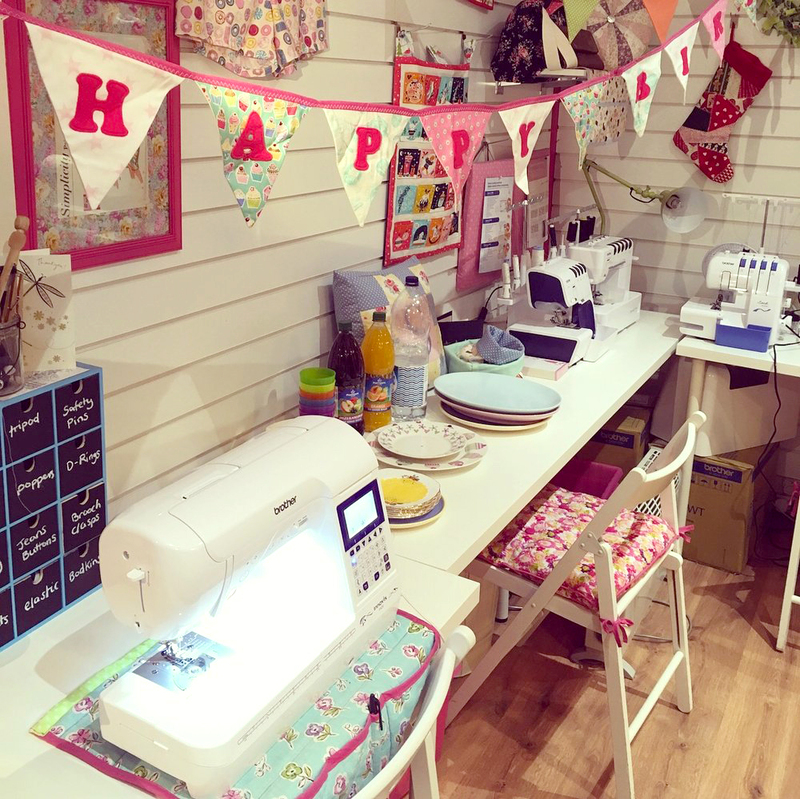 That being said, we’ve had a few new workshop locations pop up over the past year, including Oh Sew Ditsy in Brighton, The York Makery in York and… drum roll please… our most recent venue – Crafty Sew & So in Leicester. 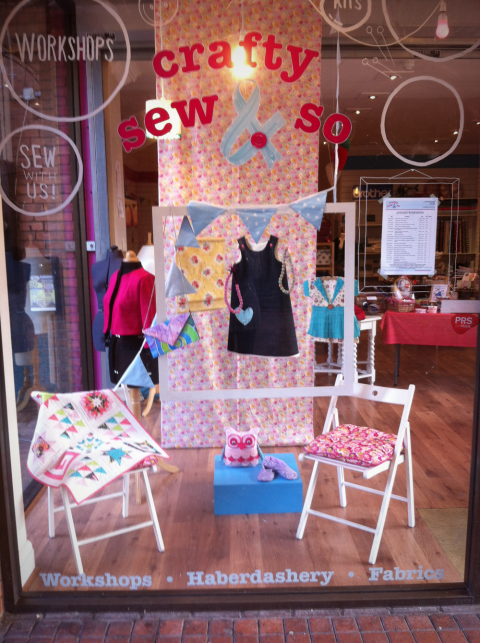 Crafty Sew and So in St. Martin’s Square, Leicester. So what makes Crafty Sew & So sooooo great? 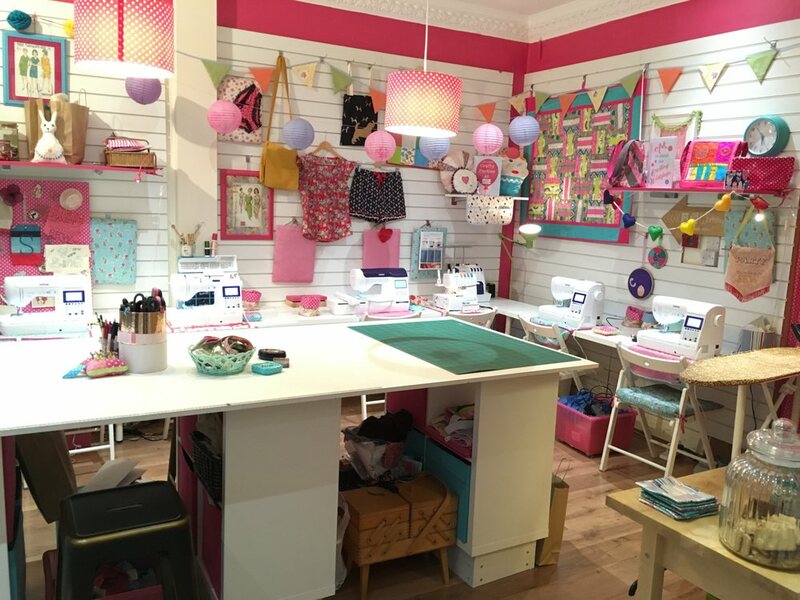 One of the reasons why we chose for our new Leicester rag rug workshops to be run at Crafty Sew & So is for the obvious reason that this cute craft haven is brilliantly located, right in the heart of Leicester city centre. Not only is it central, but Crafty Sew & So is also nestled in St. Martin’s Square – the quirky, creative quarter of Leicester, which means that there are plenty of cute cafes, art galleries and independent shops to explore before and after classes. Below you can see the exact location of the shop… you won’t get much more central than that! For all you Leicester locals to see exactly where the shop lies. Not only is Crafty Sew & So a great location for Leicester locals, but it’s also easily accessible from surrounding areas. Below we’ve listed the distance from a few nearby towns and cities, so you can get an idea of how easy it is to make the trip over. If you’re from any of these cities or towns, we do hope that you join us as it’s always fun meeting new people! Crafty Sew & So is packed with cute handmade crafts for inspiration. 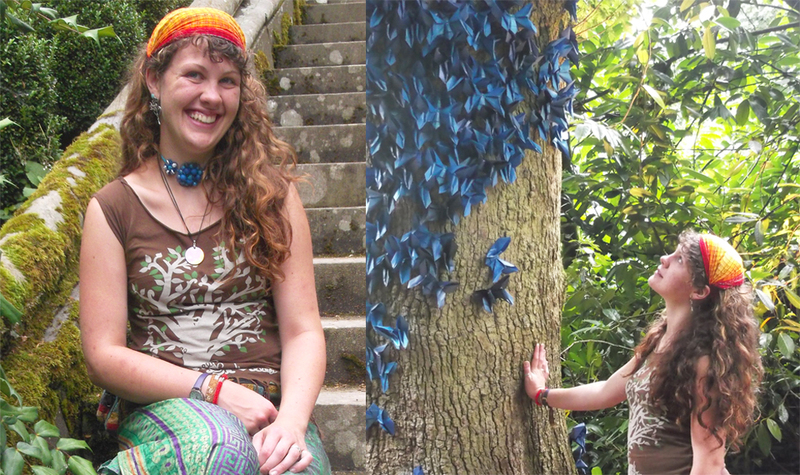 Welcome to the Ragged Life team Emma! Hi Emma, welcome to the Ragged Life team. Would you mind telling us a bit about yourself? 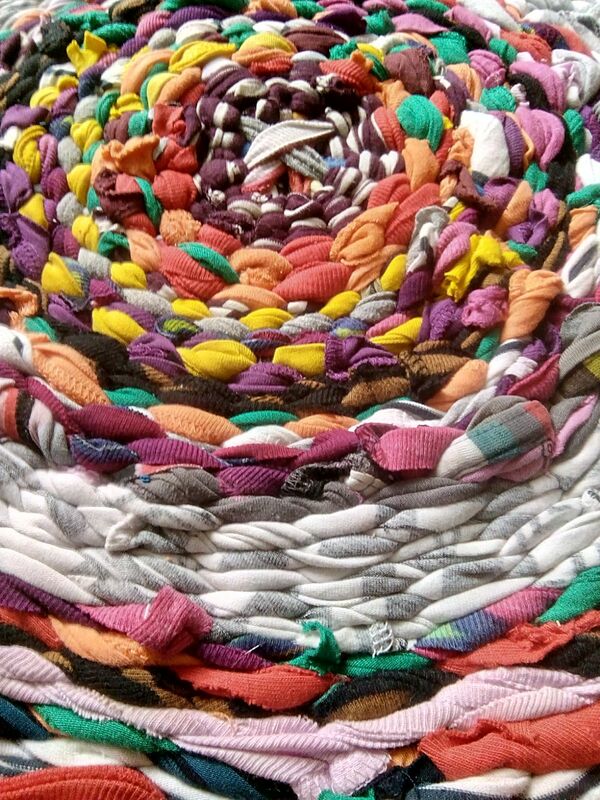 Emma made this rug using an old hula hoop and old clothing. 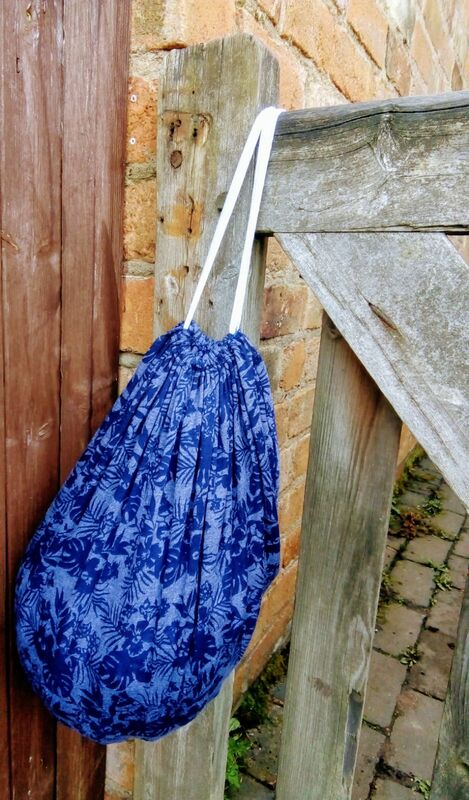 Emma made this drawstring bag out of an old t-shirt. And how long have you been working with Ragged Life and Crafty Sew and So? What is it about working here that you enjoy? 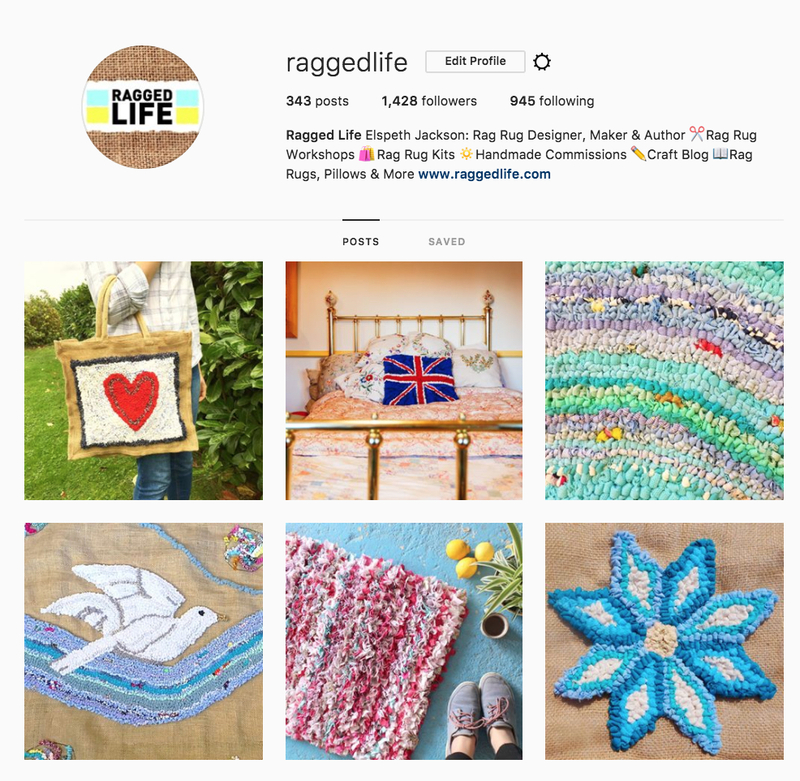 I’ve been working with Ragged Life and Crafty Sew and So for a few months now and have loved every minute of it. I feel so lucky that I’ve managed to turn a new, fun hobby (which I personally find relaxing) into a job teaching others about the joys of rag rugging. One of the main reasons why I enjoy running the Ragged Life rag rug workshops at Crafty Sew and So is the people that I get to meet. It’s so nice seeing how happy people are when they go away having learned a new skill and it’s great fun hearing all about their hobbies and experiences whilst crafting together. Who wouldn’t want to meet like-minded people? What is it about rag rugging that you enjoy? Emma has made lots of projects so far but particularly enjoys doing the shaggy technique of rag rugging. 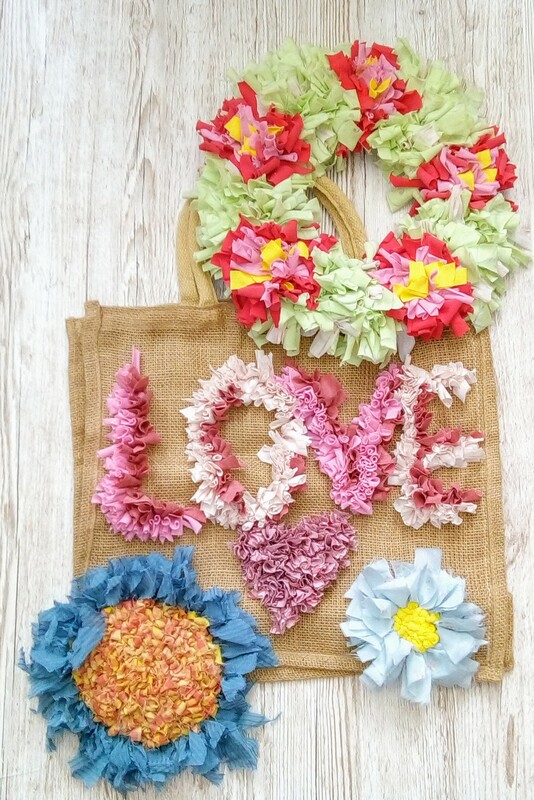 As a rag rug teacher, what do you find is the most useful tip you could give to a beginner? The one tip that I would give to beginner rag ruggers is don’t rush; take your time to get the technique right first. Once you get past the point of thinking about what you are doing, then it will flow easily. Everyone feels cack-handed at the beginning but everyone finds their rhythm eventually, and once you do, it’s one of the most relaxing crafts out there. What would you say to anyone thinking about coming to a rag rug workshop? I would say come and along and give it a go. You never know, you might catch the rag rug bug like I did! Both the half day and full day workshops teach you all you need to know to get started and everyone is super friendly and welcoming. Also, there’s coffee, tea and biscuits… Crafting, conversation, refreshments and biscuits… what else would you want? Refreshments at the ready at Crafty Sew and So! And why is Crafty Sew & So, in particular, a great space for these workshops? 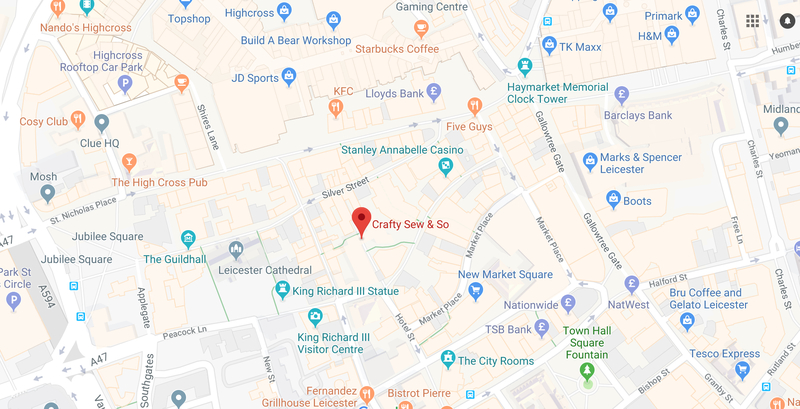 Crafty Sew & So is in a great location in the middle of Leicester city centre. It has parking close by, friendly and helpful owners and a spacious, airy and light workshop space. I always leave feeling rejuvenated. So, there you have it. We hope you enjoyed our introduction to our new rag rug workshops in Leicester. Thanks for reading and we hope to see you there soon. This entry was posted in Workshops & Fairs and tagged 2018, Full Day Workshop, Half Day Workshop, Leicester, Rag Rug Workshop, Ragged Life Partners, Ragged Life Team. Bookmark the permalink.